The Muvi extended pole mount is designed to give users a better field of vision which is ideal for self-portrait filming with the help of the strong and robust extended arm built to any tube diameter ranging between 0.9mm-23mm. The Muvi extended pole mount has 2 ratchet pivots that are fully adjustable to allow you to angle your camera any way you want. Comes with a tripod mount but is also compatible with the cradle mount that comes with your K-Series or Muvi HD camera. 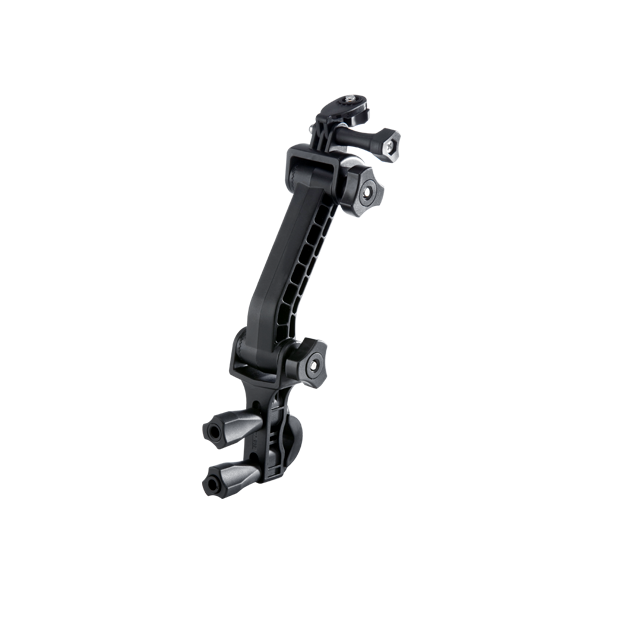 It can be mounted anywhere from a bike frame or handlebars to car roll bar or cages. The mount is also ideal for motorbikes for viewing over the wind deflector to ensure that you don’t compromise on quality of the footage.